I’m in the final stages of finishing a radio play, The Cloistered Soul, which will be broadcast on Radio 4 (in the Afternoon Drama slot) later in the year (29 May, to be precise!). It’s set in an enclosed religious order, a fictional Benedictine convent, and looks at the interrelationships between the nuns there; specifically, it explores what happens when a stranger arrives and shakes things up a bit. I love writing for radio. I love the possibilities offered by building a world through sound. I’ve so enjoyed the collaborative process too; it’s been brilliant to work with my Producer, Nadia Molinari, who has helped me shape the story as well as being the best, indefatigable script editor! The skills I’ve learned from writing radio drama – how to nail story structure, how to hone the dialogue – cross over into my fiction-writing too. At the moment, I’m also doing some extensive revisions to my first novel (which I submitted for my MA at Manchester University, years ago now). When I had the idea for Sisterwives, I put the first novel to one side. Recently, though, I’ve had a nagging feeling that I should come back to it. Re-reading the MS, I realised how much my process has moved on in seven years. Now I can see the flaws and the blind spots – and, I hope, I have more experience of the craft to be able to repair them. It’s becoming a very different novel I think I needed distance from it, and time, in order to allow that to happen. In addition, I’m making slow progress with a few short stories and another long project: a historical novel set in and around the Glasgow School of Art at the beginning of the twentieth century. It’s loosely based on the life and work of the famed architect, Charles Rennie Mackintosh, and his circle. However, I’ve always been more interested in the women in the group – his wife, Margaret and her sister, Frances, who were both important artists in their own right. I’ve no idea! I’m not sure that my work fits into a genre. Mostly, I think, because I write across forms (short fiction, novels, drama) I don’t have particularly coherent writing identity. I just write what I love to write, and what fascinates me. I suppose there are two responses to that question, which relate to form, and to theme. I do love the long haul of the novel. I’m not denying that it can be exhausting, trying to sustain the momentum over so much time and for so many words. Often at least half the words I write don’t make the cut. But I find it hugely satisfying to gradually build the characters, build the narrative to produce something highly layered and textured. Even my short fiction tends to constellate into a set of linked set of stories. At the moment, I’m concerned with instances of ‘coup de foudre’ – love at first sight – and the different ways that moment might affect us. Radio drama is a shorter, tighter form than the novel. Not a word can go unexamined, and that’s a huge challenge. But I find I’m more playful when writing radio (even if the subject matter might be serious), somehow lighter. Perhaps this is because the focus is more on sound and how things are heard. When it comes to thematic concerns, much of what I write is about community and connection: how people live together and communicate, the joys and the struggles of that and the learning processes that can take place. Both Sisterwives and The Cloistered Soul directly portray lives in very closed communities, so that the place itself becomes a sort of crucible for the action. There’s something about the intimacy of living in such close quarters which can throw attitudes and emotions into relief – and that change, that conflict is, to me, the stuff of drama. I think I’m also preoccupied with ideas of freedom and imprisonment. I’m fascinated by such questions as: what makes us free? Is freedom a physical or a mental/emotional thing? Do we depend on others for our sense of freedom? How are we constantly constraining ourselves through fear, and how might our awareness of (or possible judgement by) others constrain us? I’m a really slow writer. That really used to bother me. It took me a few years to work out that comparing my process, or my output, with that of other writers is futile. I find the first stage – the getting the words on the page – an enormous challenge and am happier once I have something to shape. I do love the editing process (both the larger, structural shifting text around and the line by line polishing). I could go on and on with that stage and sometimes find it hard to let go. I tend to underwrite, at first, rather than overwrite – which I think is quite unusual. I produce skeletons of scenes, the bones of the story, and then flesh it out. Nadia, my Radio Drama Producer has pointed out that my writing process is akin to producing a painting. Each layer builds on the last one, and gets richer and more nuanced, so the colour is built up in a very subtle way. I hope she’s right! I do find it useful and thought-provoking to think about how I work, and I’m always delighted to hear how other writers do too – so it would be great to hear about your own creative processes if you feel inspired to leave a comment below. On Monday 3 February, three of my brilliant writer friends will also be sharing their thoughts on their work. You’ll find them here, so do visit their sites to see what they have to say. Rebecca Evans, or Bec as she is known to everyone, has spent a lifetime reading, writing and working with writers. 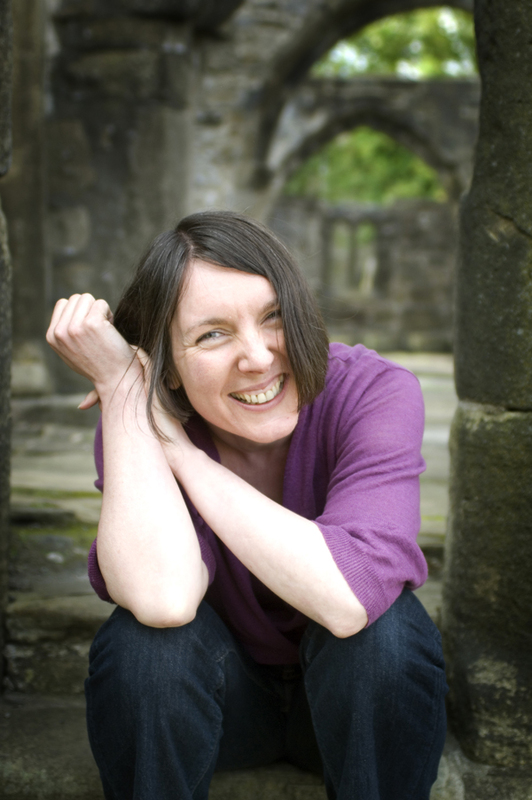 From her first job in a bookshop to a career in publishing and several years managing a writers’ retreat centre for Arvon, she’s obsessed with working out what helps writers write and blogs about her research into writers’ habits. Em Strang is a poet with an interest in ecology, spirituality and the relationship between the human and nonhuman. She’s just been awarded a New Writer Award 2014 from the Scottish Book Trust and is hoping to finish compiling a first collection this year. Interesting to find another writer who underwrites at first as if producing the skeleton of the final piece. I find this is the case with writing poetry too. I wonder if you have tried this form. Lovely to read about your process. Thank you. That was so interesting. It has inspired me to think about radio drama and also to pull out my own adult novel. Your radio play sounds great. Great! I’m glad you’ve been so inspired, Anne. Good luck with pulling out the novel. And, yes, I’d highly recommend writing for radio (Arvon do Radio Drama courses ;-)) – it’s great fun.